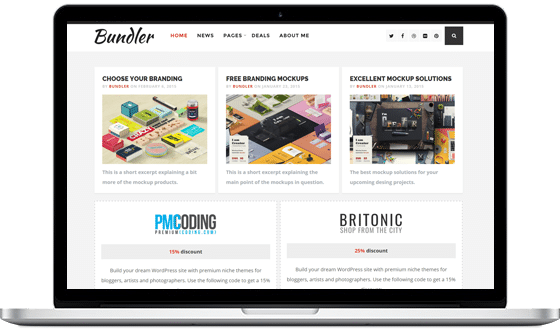 Bundler is a WordPress blog theme with a bold design. 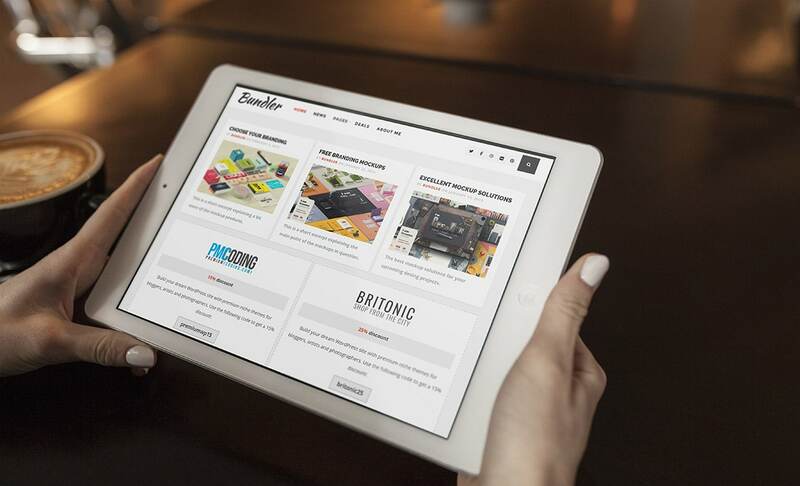 Its modern personality would be perfect for a blog, and especially a web design related one. With Bundler you get right to the point – no unnecessary slideshows, animations or clutter, just the information that you need, presented in a clean and minimal way. 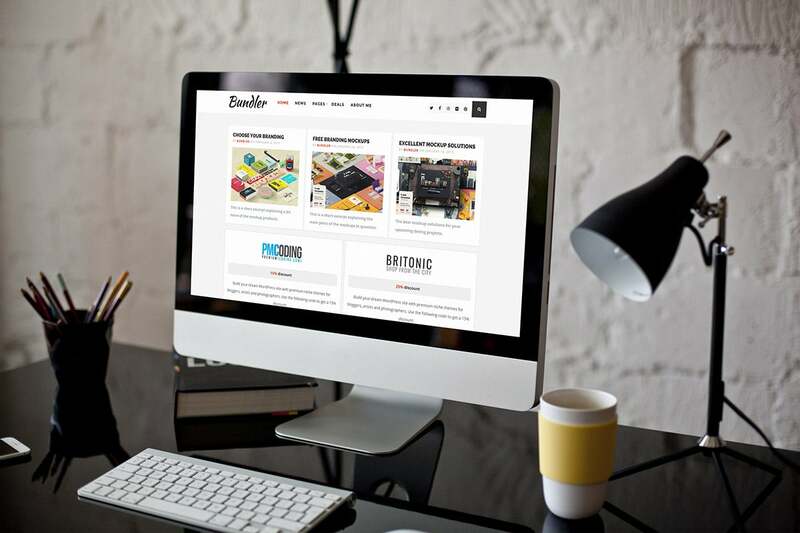 The niche behind the theme is web design and promotion of content like mockups, graphics, psd templates, freebies, etc. The theme also allows you do add coupons and promotion banners with ease. 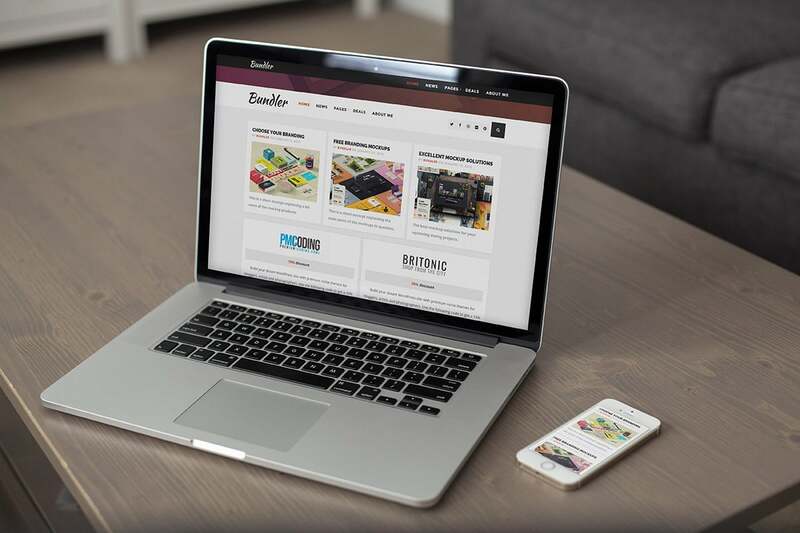 Bundler WordPress theme is fully responsive and retina ready, so you can be sure that it will look amazing on any mobile device.